TORONTO, CANADA—The Bank of Canada has issued an apology for expunging an Asian-looking scientist from a new $100 banknote after some Canadians objected to the figure. The bank’s governor said that the bank will review the design process for new currency in light of the ensuing public outcry. Ted Hsu, a former physicist and member of Canada’s Parliament, also criticized the bank’s actions. “I don’t think there is anything wrong … with the original image having too clear an ethnicity,” he says. “Canada is a diverse country; I think it is okay to have people of different ethnicities represented on our currency. … The Bank of Canada should not have responded to feedback [from focus groups] about how someone looked,” he adds, but should have instead left the design to the artist. The new plasticized banknotes, which went into circulation this year, are more secure, cheaper, and greener than existing bills. 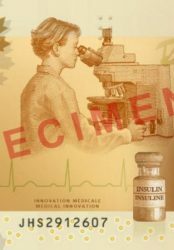 In addition to the female scientist, the $100 note also includes a picture of a vial of insulin, which represents the discovery of insulin as a treatment for diabetes by Canadian scientists Frederick Banting and Charles Best (along with non-Canadian John Macleod). An image of an electrocardiogram alludes to the 1950s invention of the pacemaker, and a twist of DNA represents Canada’s role in sequencing the human genome. The significance of the controversial figure at the microscope is less clear. “At least it’s a woman,” quips Paul Dufour, a science policy specialist at the Institute for Science, Society and Policy at the University of Ottawa. The bank got one thing right, he says: It tried to promote the role of women in science.